Have I ever mentioned that way back before my life became all about children and their interests I actually had my own interests … one of which was jewellery making? 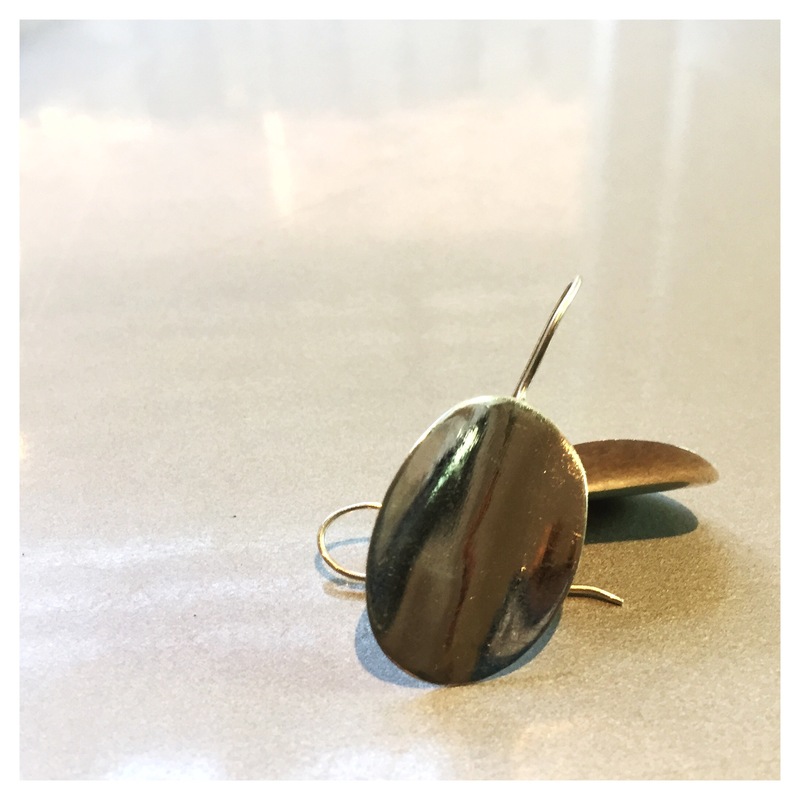 And so, having time to actually follow through on things back then, I went off with Elise to do a silversmithing course at CAE in the city. And what I discovered, much to my great sadness!! was that silversmithing and I were never … not in a million trillion years … going to be friends. Never. Ever. I am sure I cried multiple times in that course as I got to the last solder on some complicated thing and accidentally overheated the metal (once again), which made every join crack and everything fall apart. Literally. Aaagh! No doubt about it, Elise with her patience and precision is definitely the ‘jeweller twin’. Anyway, before Christmas I got a new haircut. A lop sided bob. And became a little bit obsessed with dangly earrings. As usual I took my obsession with me to the op shop. Isn’t it amazing how you can find whatever you are looking for at the op shop? 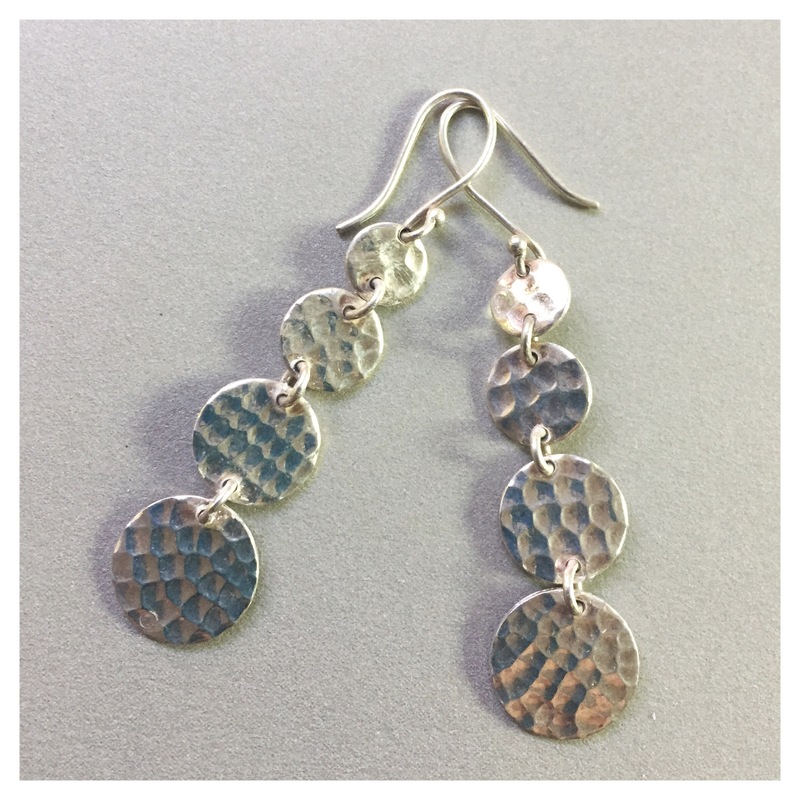 I discovered my two new great pairs of hand made stamped silver earrings over summer by focusing my search on the posts and hooks – I figured if they weren’t cheap and nasty then the earrings probably wouldn’t be either. The first pair I found came from my old fave the Anglesea Op Shop. They’re ace. I got them right at the start of the holidays. And wore them as I body surfed my way around the thousands of sharks hanging out with us along The Great Ocean Road. The second I found at the end of summer holidays at the Torquay Op Shop. A bit dressier, and not that comfortable to sleep in (unless you like waking up with metal discs wedged in to your neck, and I am assuming most people don’t) but ace as well. And only $2 (again). And I didn’t have to solder anything. See. $4 well spent.